Where is home? It sounds like a simple question, but when Naomi Reed returned to Australia after spending six years working in war-torn Nepal, the mother of three realised the answer is far from simple. 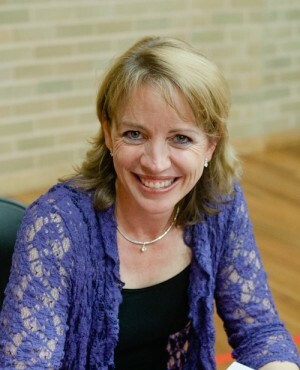 The author of three books, who was working in the country as a physiotherapist as well as homeschooling her three children says she began writing to keep herself sane. “There was civil war in Nepal which was getting worse so we had shoot on site curfews and bombs and gunfire quite nearby. One of my closest Nepali friends was dying of a brain tumor. The rain began again and it rained for 120 days in a row. “I was going a bit mad so I started to write, just questioning what God was doing during that time. I was thinking about seasons of life and wondering how does God use them. The process of writing helped me to pray and see this is a time and a season. How does he want me to grow and what does he want me to enjoy about this particular time that won’t go on forever? 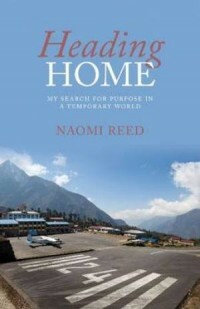 The result of Naomi’s efforts was The Seventh Monsoon a book about her experiences in Nepal. As the book spread around the world, people wanted to know what happened next. A second book, No Ordinary View followed before the family moved back to Australia in the middle of 2006. “We had been looking forward to coming back to Australia but when we got here it just didn’t feel like home. It was an immediate contrast- from poverty to wealth, war back to peace, homeschool back to school. Despite a friend’s encouragement that feeling in between homes is a gift, Naomi struggled to understand how her situation could be positive. But as she reflected and began to write again, Naomi had a realisation. Naomi says Heading Home will appeal to anyone who has felt the pain of being in between homes, jobs, countries or relationships. The author believes it’s good for every Christian to think about the concept of home. “What are we relying on to get that sense of home?” she asks. Naomi quotes from The Message translation of John 15:4: "Make your home in me"
"What does it mean to be home in Christ?” she asks. Arguing that everyone goes through difficult times where fitting in is difficult, Naomi believes hope and help is available. "It’s to that cry [of lonliness] that Jesus speaks and says 'you’re not ever going to completely belong here because I haven’t made you for here'. I’ve made you for heaven where there won’t be any crying, fighting, tears or pain anymore. God has made us for something that’s better."